It’s Day Two of Diabetes Blog Week! I want to start by letting you know about an special savings code that Lauren’s Hope is offering to celebrate participants of Diabetes Blog Week, as well as those following along. The coupon code “DBlogWeek” is good for a 10% savings on both their medical ID jewelry and their new non-medical line. They were also kind enough to donate the Facebook graphics for DBlogWeek, including the profile picture on the right. Thank you, Lauren’s Hope! Our topic today is Poetry Tuesday. This year, Diabetes Blog Week and TuDiabetes are teaming up to bring out the poet in you! Write a poem, rhyme, ballad, haiku, or any other form of poetry about diabetes. After you’ve posted it on your blog, share it on the No Sugar Added® Poetry page on TuDiabetes, and read what others have shared there as well! before sinking into the test strip to give me a number I’ll either love or hate. to completely throw off the results my meter reports. and is the difference between life and death. truly keeps me alive second by second. or so it seems, when ketones come crashing in. in a desperate attempt to banish those low symptoms. so my loved ones don’t notice how hard this all can be. is measured one drop at a time. 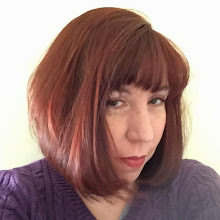 You can find more Poetry Tuesday - Tuesday 5/13 post here. 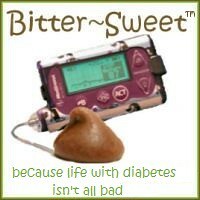 If you’d still like to join in for Diabetes Blog Week click here for an explanation and to sign up. You can also check out a list of participants over here. I love all this poetic creative writing! So fantastic. Also great to know about Lauren's Hope - I've been meaning to order some things off there, so will prompt me to stop procrastinating on it. Oh, I really like yours. I'm glad you included the tear. Sorry but glad. Because they are there so often along with all the rest of it. Hugs to you. This is great, Karen. One drop - it does feel like that so much of the time. I'm sorry it's like this. I don't want you to cry ever. Awfully glad I took the wildcard, poetry like this is of a different calibre! This is so beautiful! Thanks for writing amazing poetry. Wonderfully written - I love the concept of "one drop". Beautiful poem, Karen. Thanks for sharing! Beautifully done, Karen. Thanks for sharing. Being Less Efficient . . . .
Move Along . . . .
Wordless Wednesday - Good Stress . . .